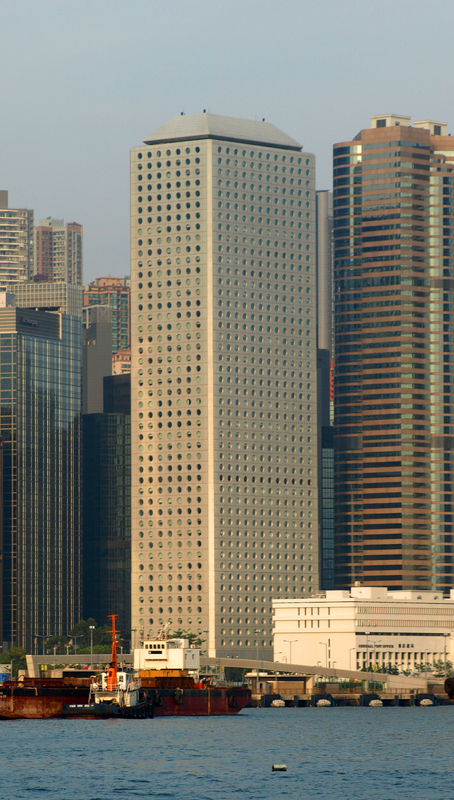 Constructed on land reclaimed from Victoria Harbor, Jardine House is a classic fixture on the waterfront skyline of Hong Kong. 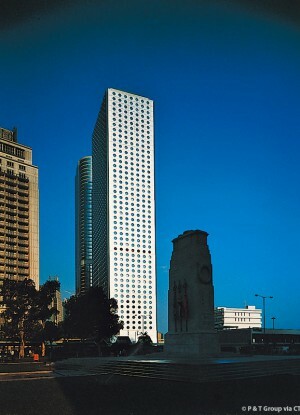 When completed in 1973, it became the tallest building in not just Hong Kong, but all of Asia, and held the title for seven years until it was surpassed in Singapore. 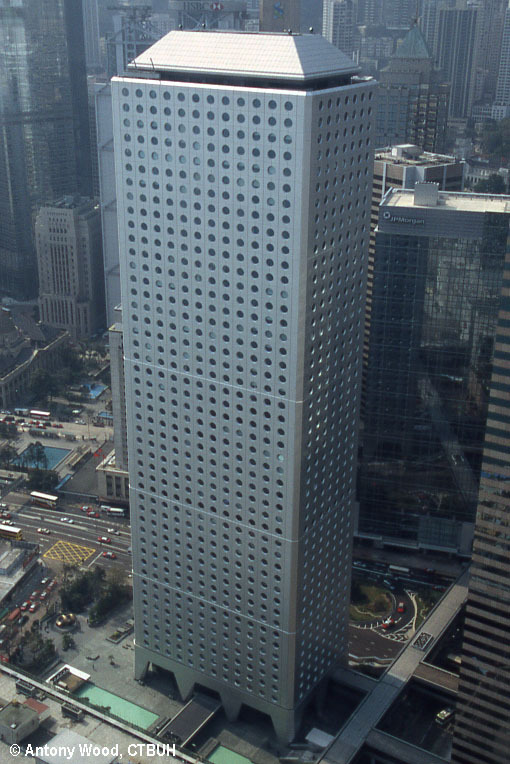 It would be an additional five years before the completion of new headquarters tower of Hong Kong and Shanghai Bank claimed the title of tallest in Hong Kong. 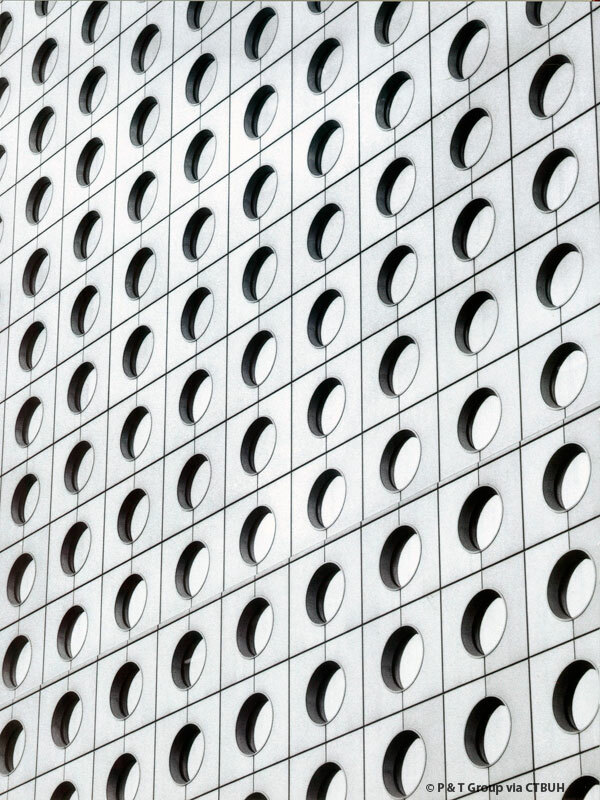 The building features a unique façade composed of a metal skin and circular porthole shaped windows, inspired by the nautical history of the city and the building’s site. The façade with its small windows reveals a clue to the structural frame behind, a reinforced concrete box with the exterior serving as a shear wall. By placing most of structural frame on the edges of the building, the interior was allowed to become a column free space. The structural loading taken on by the external walls then necessitated the smaller window openings. 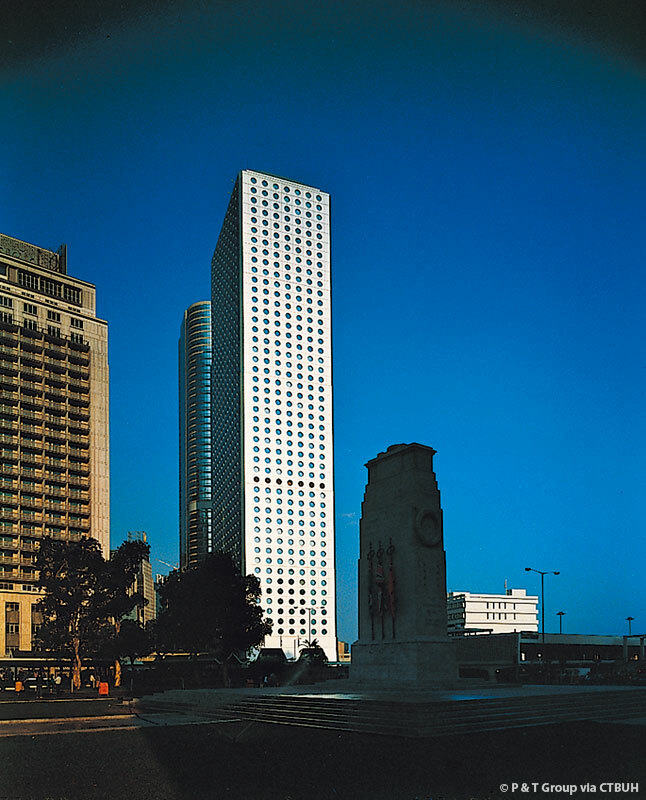 The structural design of the building was very innovative for the time of completion and had positioned Jardine House as one of the tallest reinforced concrete towers in the world. 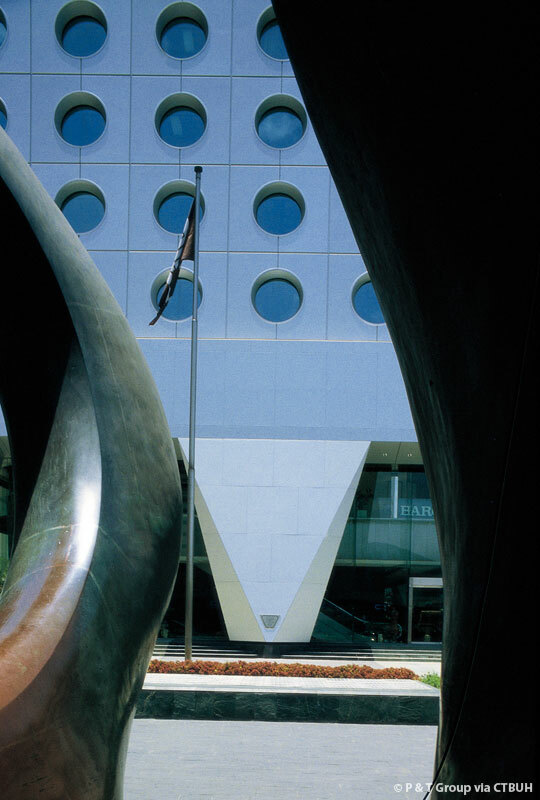 At ground level, large triangular columns serve as a load transfer from the external shear walls above to allow for an outdoor two story arcade space warping the building’s lobby. 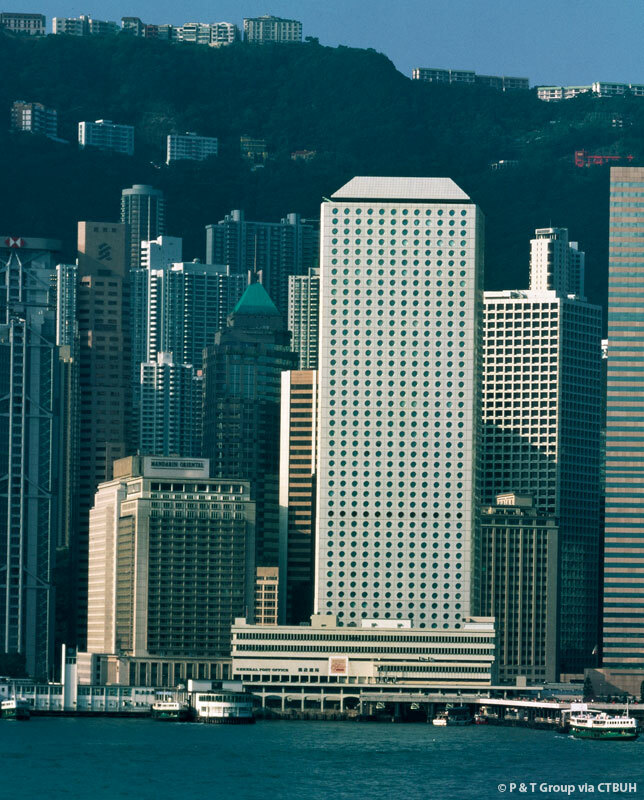 The waterfront site was initially chosen with the intent to have unobstructed views towards the harbor, and this has maintained Jardine House’s appearance on the Hong Kong Skyline even as taller buildings have since been constructed nearby. The building sits within a large plaza and has since seen pedestrian bridge connections created linking it to neighboring towers.